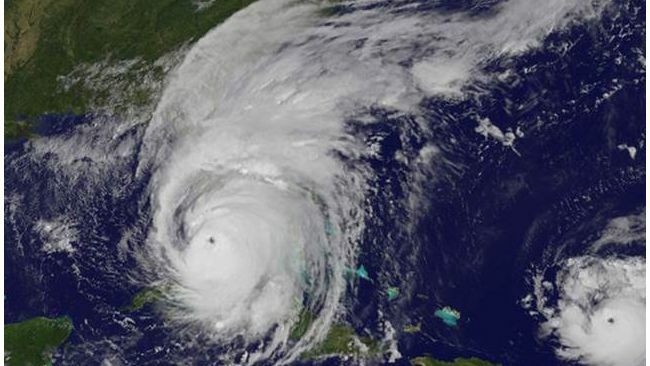 ST. PETERSBURG, Fla. -- Duke Energy Florida today announced that customers will directly benefit from the new federal tax law and avoid a rate increase for power restoration costs associated with the company's response to last September's Hurricane Irma. "We are pleased that this solution will prevent a rate increase for our customers," said Harry Sideris, Duke Energy Florida state president. "Hurricane Irma was the worst storm to ever hit Duke Energy Florida and impacted many lives. Redirecting the tax reform savings against the storm costs ensures that our customers will reap the benefits of this new law." The change is supported by the Office of Public Counsel and consumer advocate groups. The Florida Public Service Commission will review the costs to be recovered and the level of the tax benefit and approve the change by year-end. Hurricane Irma was a historic hurricane that caused widespread, devastating damage across the Southeast region. Utilities united and battled back with an unprecedented response. Duke Energy crews and contractors from the Midwest and the Carolinas traveled to Florida to assist with restoration, as did workers for utilities from across the country and from as far as Canada to get 1.3 million customers restored as quickly and safely as possible. In Florida, more than 12,000 line and field workers replaced approximately 1,800 distribution poles, 140 transmission poles and 1,100 transformers. Duke Energy restored power to more than 75 percent of its customers in just three days and 99 percent within eight days. Duke Energy Florida owns and operates a diverse generation mix, including renewables, providing about 8,800 megawatts of owned electric capacity to approximately 1.8 million customers in a 13,000-square-mile service area. With its Florida regional headquarters located in St. Petersburg, Fla., Duke Energy is one of the largest electric power holding companies in the United States. Its Electric Utilities and Infrastructure business unit serves approximately 7.5 million customers located in six states in the Southeast and Midwest. The company's Gas Utilities and Infrastructure business unit distributes natural gas to approximately 1.6 million customers in the Carolinas, Ohio, Kentucky and Tennessee. Its Commercial Renewables business unit operates a growing renewable energy portfolio across the United States.